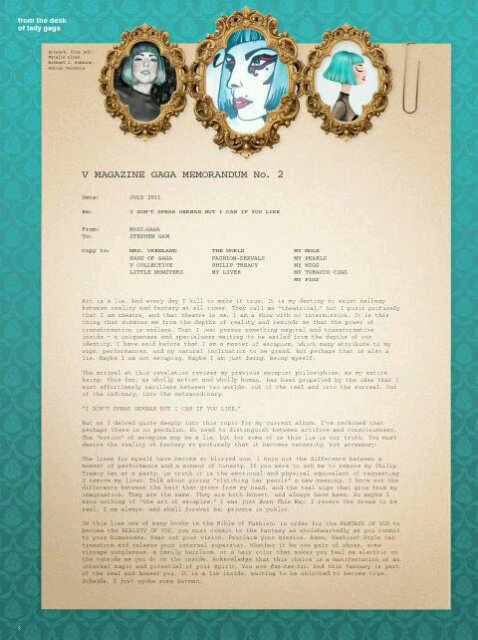 FROM THE DESK OF GAGA: Her Column for V Magazine. Lady Gaga states: "If you need a quick fashion read, here's my V Mag column for the month. This time we did a Triptych!"